Yesterday, Microsoft announced that students around the world will be able to access Microsoft Azure for free. Previously, students who wanted to explore Microsoft’s cloud computing platform and infrastructure would have to have had a credit card in order to sign up for the free trial. This offer can be claimed through Microsoft DreamSpark with a verified student account. 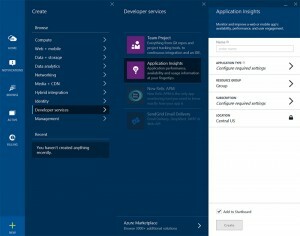 Students will be able to explore the new Azure App Service and build and deploy websites and web apps using a plethora of languages such as ASP.NET, Java, PHP, Node.js and Python. 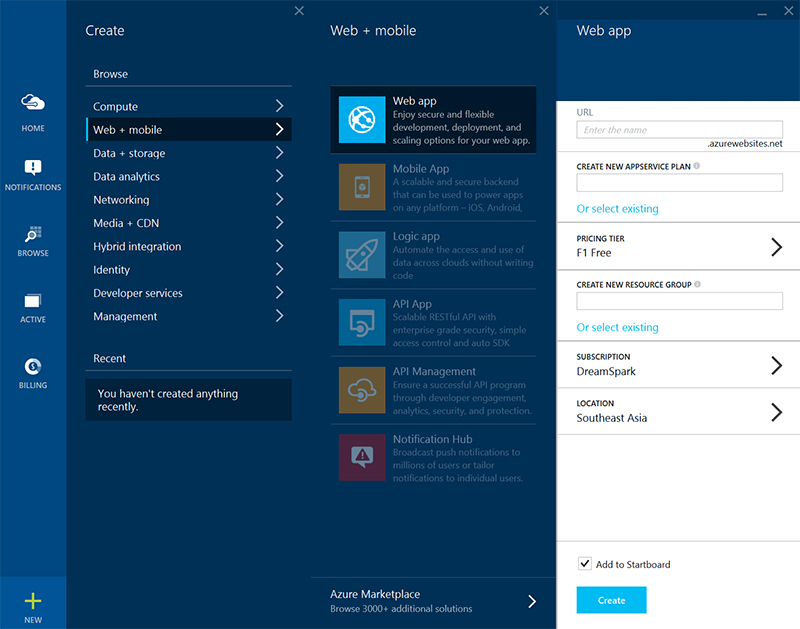 Azure App Service Web Apps is a part of a fully managed Platform-as-a-Service (PaaS) that enables you to build, deploy and scale web Apps in seconds. Use ASP.NET, Java, PHP, Node.js or Python. Run popular web apps and CMS solutions including WordPress, Drupal, Joomla, Umbraco and DotNetNuke. Set up continuous integration and deployment workflows with VSO, GitHub, TeamCity, Hudson or BitBucket – enabling you to automatically build, test and deploy your web app on each successful code check-in or integration tests. 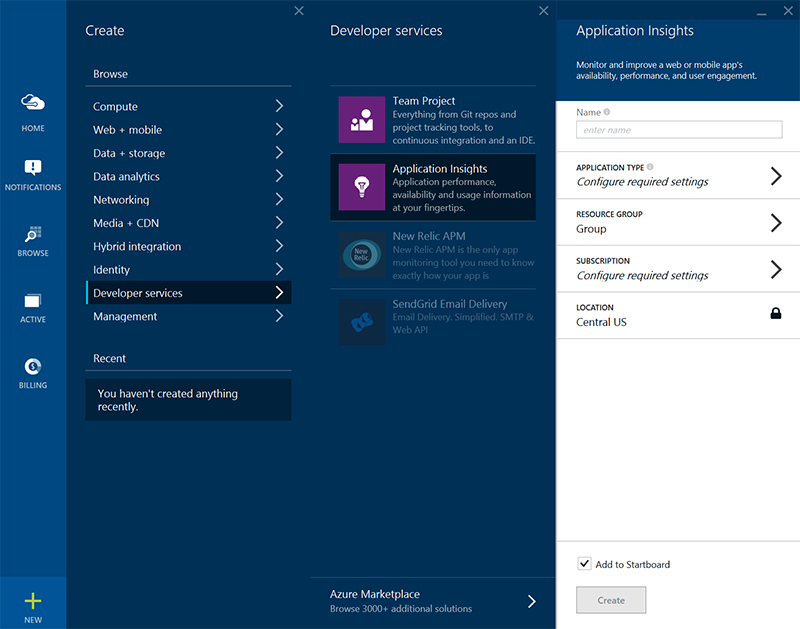 Application Insights provides a 360° view across availability, performance and usage of your ASP.NET services and mobile applications for Windows Phone, iOS and Android platforms. Search and analyze your data to continuously improve your application, prioritize future investments and improve overall customer experience. 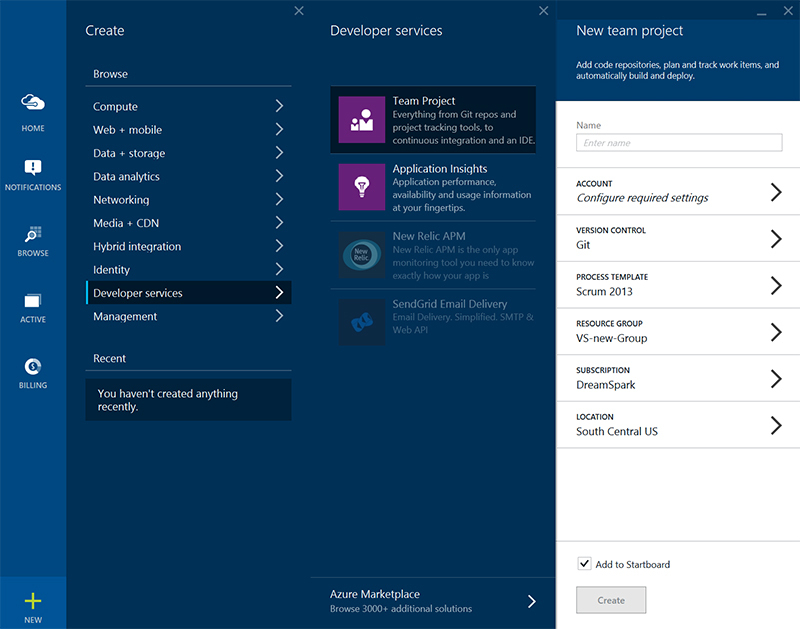 Visual Studio Online is the fastest and easiest way yet to plan, build, and ship software across a variety of platforms. 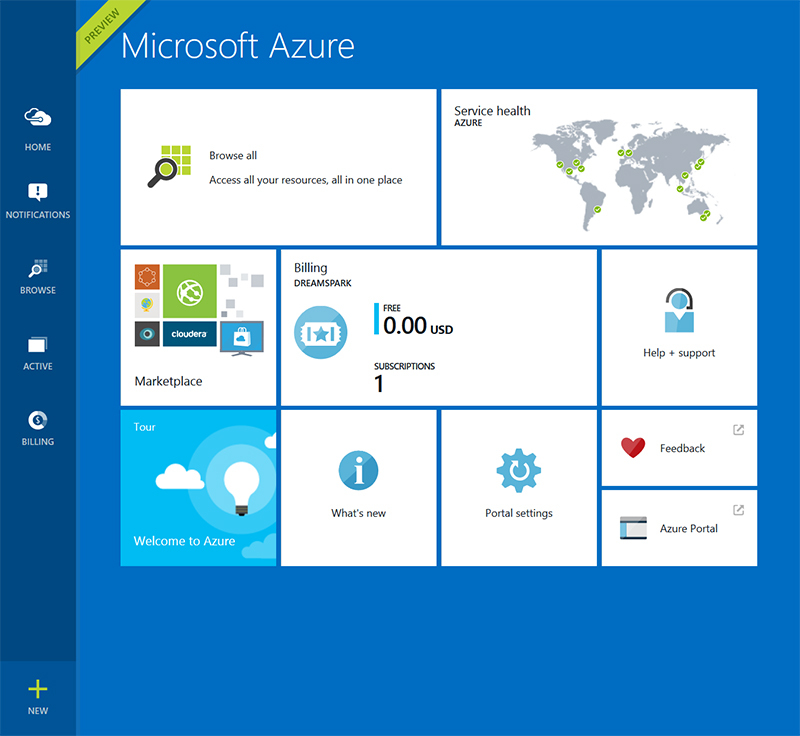 Get up and running in minutes on our cloud infrastructure without having to install or configure a single server. 5. 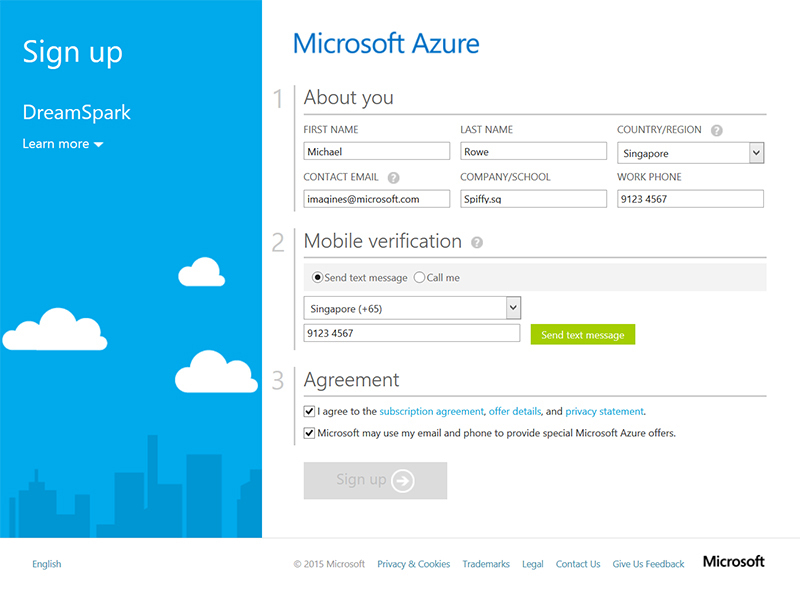 Visit the Portal to set up your cloud services! 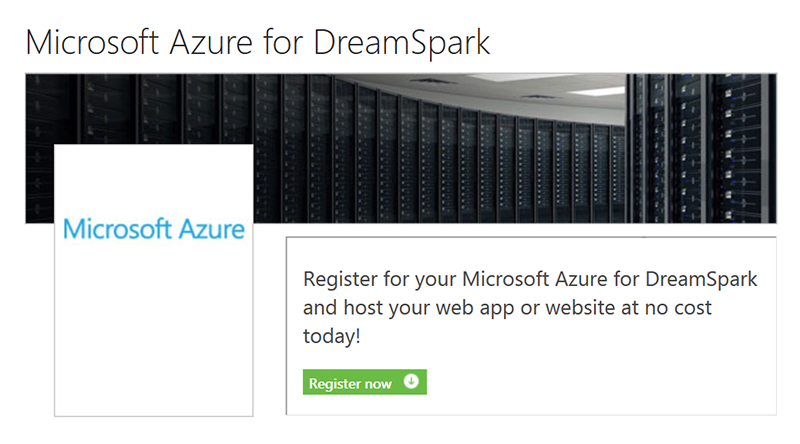 Note: Make sure you supply the Microsoft Account email address you used with DreamSpark to Azure Support so that they can resolve the problem with the proper account.